This production opened on May 2, 2003 and closed on May 11, 2003. 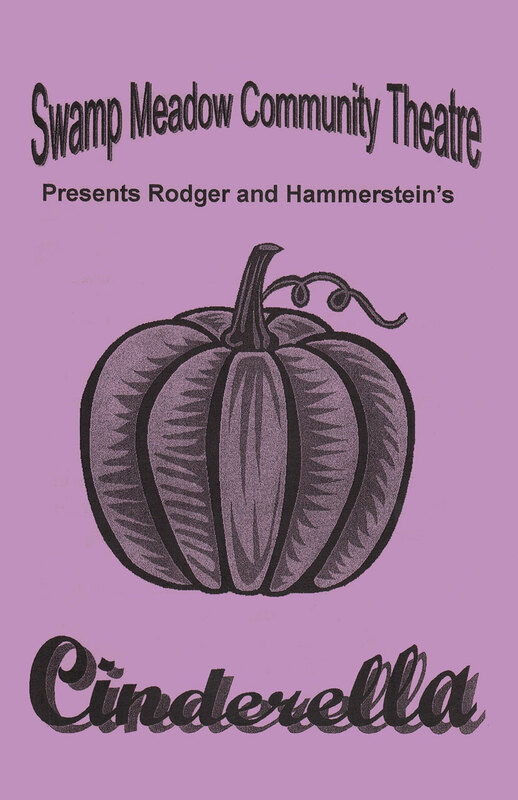 In the Spring of 2003 the Swamp Meadow Community Theatre presented our premier production, Rodgers & Hammerstein’s Cinderella . The production included a cast of thirty and a crew of over twenty hard-working volunteers ranging in age from two to seventy-one. Meredith Richards and David LaVallee, both from Plainfied, CT, starred as Cinderella and Prince Charming. The production was directed by Bob Hollis with assistance from Meghan McCormick and Mary Jehu, and was produced by Amy Hollis. The musical was performed on May 2nd, 3rd, 4th, 9th, 10th and 11th at the Capt. Isaac Paine School in Foster, RI.